As a geophysicist specialised in Antarctic glacial and sub-glacial environments, Dr. Robin Bell has led seven major research expeditions to Antarctica and is one of the original instigators of the International Polar Year (IPY) 2007-08. She is Director of the ADVANCE program at the Earth Institute at Columbia University in New York City, and a Doherty Senior Research Scientist at Columbia University's Earth Institute. 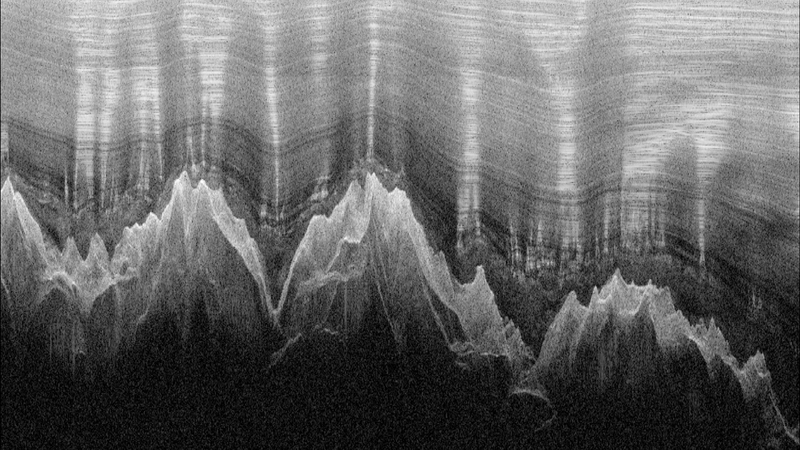 In this SciencePoles interview, Dr. Bell provides an overview of what is currently known about the Gamburtsev Mountains in East Antarctica, and of how the research is unfolding. Could you tell us what the Gamburtsev Mountains are? The Gamburtsev are a mountain range located at the centre of the Antarctic continent, beneath the East Antarctic Ice Sheet. They are bigger than the European Alps, and rise to a maximum height of about 3.5 kilometres. When were they discovered? Who discovered them? They were discovered during the last International Geophysical Year (IGY) in 1957-58 by a Soviet expedition using seismic instruments to measure how thick the East Antarctic ice sheet was. Why is it important to study these mountains? Firstly, why are they there and how where they formed? Secondly (remembering that they lie beneath the thickest part of the East Antarctic Ice Sheet), where within the Gamburtsev are we likely to find the oldest ice, and thus to be able to retrieve the oldest ice core climate record? And thirdly, we need to understand whether the large sub-glacial lakes that lie beneath the ice sheet and in the Gamburtsev region are capable, through their lubricating effect, of triggering rapid ice flow, speeding up the rate at which the ice sheet flows from the centre of the continent to the coast. This question has massive implications for ice mass balance and global sea level rise. What do we know today about Antarctica's ice mass balance? There are three principal signals that indicate negative ice mass balance (i.e. the loss of ice mass into the ocean). One is the ice sheet losing elevation, another is accelerating ice flow, and a third is mass loss as measured by satellites. We don't actually see much of that in East Antarctica. There is ice flow acceleration in a couple of places along the coastline, but generally East Antarctica doesn't seem to be undergoing a lot of change. However, that does not mean it isn't susceptible to change, particularly along the edge of the ice sheet. I understand that there are currently three hypotheses as to how the Gambutsev Mountains were formed. Can you run us through them? The fact that there are mountains at all in the middle of the East Antarctic landmass constitutes something of a mystery. It's really like finding a mountain range in the middle of a beach. There really shouldn't be mountains there. The first hypothesis is that Antarctica is in fact made up of two landmasses that collided 540 million years ago, forming the Gamburtsev in the process, and that the mountains have remained remarkably preserved because somehow their rock composition has impeded erosion. The second idea is that the same two pieces of Antarctica collided more recently than we thought, meaning that Antarctica isn't a stale, old continent as was previously supposed. And the third idea is that there may be a volcanic plume (or hot-spot) beneath East Antarctica - in essence a giant volcano beneath the ice sheet which is what has formed the Gamburtsev Mountains. If the Gamburtsev where the result of a collision between two tectonic plates, how would that fit into the accepted theory that Antarctica was part of the Gondwana super-continent before its break-up? It would suggest that during the break-up of Gondwana, as India and Australia wiggled away towards their present locations, Antarctica didn't stay as one piece - instead of being one big cookie, it was two cookies - and that the two pieces eventually moved back together, forming the Gamburtsev Mountains as they crashed back into each other. Which theory do you favour at this stage? I had thought the collision theory was the right one, but it is very hard to reconcile all the facts. For example, we haven't found any young sediments off-shore as there should be if the theory is correct. So perhaps it is a very young volcano and at this stage I think I'd lean toward the possibility of there being a hot-spot. But according to recent measurements, if it actually is a hot-spot, it isn't actually very warm? This would point to the volcano being very young. The whole edifice would have had to grow very recently, and not have had a chance to be eroded. You mentioned sub-glacial lakes located in the Gamburtsev Mountains region. Do these connect with other Antarctic sub-glacial lakes? How much do we know about them? What's remarkable about the Gamburtsev Mountains is that they are bounded by two of the largest Antarctic sub-glacial lakes, or sets of lakes. You have the very stable Lake Vostok on the east side, and then you have large, but less stable Recovery Lakes on the west side. Of course, we know a lot about Lake Vostok. It's been the focus of research efforts for 50 years now - It's just that we didn't know it was lake for the first 40. However, the Recovery Lakes we know next to nothing about. There has been just one survey traverse across them, in 1964, and they didn't know these were lakes at the time. How and by what means are the Gamburtsev Mountains being studied today? Who is involved, and who is leading the project? The Gamburtsev Mountains are being studied during the International Polar Year by an overarching programme called AGAP (Antarctic Gamburtsev Province), and it involves a number of nations including Germany, Australia, the UK, the US, China, and to some degree the Japanese. The big instruments will be two Twin Otter light aircraft that will be loaded with instruments such as RADAR, laser, gravity and magnetic devices that will enable us to image everything from the top to the bottom of the ice sheet. Along with that, we will deploy a series of seismometers to listen to earthquakes. This will enable us to complete the imaging from the base of the ice sheet down through the middle of the earth, so that we will end up with a cross section all the way from hundreds of kilometres below, right to the top of the ice sheet. And how many years or seasons will this programme require? The first deployment of seismometers took place last year, and if things work out we will be back in the field both this year and next year to complete the deployment of seismometers and Twin Otter flights. So it's a three year (or field season) programme. How important for this project is the new Dome A Station being built by China over the next two years? In the shorter term, the Chinese collaboration is very much in providing the infrastructure around the north side of the Gamburtsev Mountains. In the long term, however, the Chinese plan to drill into the bedrock to draw out samples, and they also hope to find the oldest ice at the bottom of the ice sheet - although at this point we need more information about where exactly the oldest ice could lie within the topography and valleys of the Gamburtsev, and thus where the best place to drill would be. How is the rising cost of fuel affecting the Gamburtsev programme? The rising cost of fuel is absolutely terrifying for this programme and all Antarctic programmes. It probably means that there will be a significant scaling back of programmes. But on the positive side, it is really forcing scientists to look at efficiencies and to collaborate more. You were one of the original instigators of the International Polar Year (IPY) 2007-08, along with Chris Rapley, ex-Director of the British Antarctic Survey (BAS). What is your evaluation of the IPY at this stage? I guess my only regret is that we didn't start earlier and have a longer planning stage, but in general, I feel that this IPY is a remarkable success in terms of what's come out, especially when it comes to international collaboration, and education and outreach. The science of course, will take a little longer to evaluate. But do you believe that this IPY will deliver scientific results that wouldn't have been possible to obtain without it taking place? Yes, absolutely. For example, without the IPY, the group of nations that are working together to study the Gamburtsev Mountains would not have come to the table. It simply would not have happened. Finally, how do you feel about this idea that has been floated of a 'Polar Decade'? The Poles are frequently off the map, but they are also the regions that are changing the most rapidly. It's incumbent on us, the polar science community, to make sure they don't fall of the edge - that we really strive to understand the processes that are going on in the Poles so we can help society understand how the planet changes. Robin Bell is a professor at Colmbia University's Earth Insitute and Lamont-Doherty Earth Observatory. For the past twenty years, she has coordinated nine major aero-geophysical expeditions to Antarctica and Greenland to study the ice sheets. She was a leading proponent of the 2007-2009 Internaitonal Polar Year (IPY).